While many in the civil rights movement community this summer are celebrating the 50th anniversary of Freedom Summer, another important half-century milestone—and a significantly blacker, more radical one—was recently acknowledged in New York City: the founding of the Organization of Afro-American Unity, Malcolm X’s political organization. If Martin Luther King Jr.’s dream of domestic social equality turned into a nightmare, Malcolm’s vision for black Americans to join the international community of Africans as an anti-Western bloc was quickly stifled with his 1965 assassination. The OAAU—patterned after the OAU, the Organization of African Unity—represented Malcolm’s domestic and international potential, a painful addition to the pile of 20th-century black historical what-ifs. The OAAU event, which took place on June 28—the to-the-day 50th anniversary—at the Malcolm X & Dr. Betty Shabazz Memorial and Educational Center (the former Audubon Ballroom, where Malcolm was assassinated), came in the wake of a newly published diary of Malcolm X. The book, edited by journalist-historian Herb Boyd and writer Ilyasah Al-Shabazz, one of Malcolm X’s six daughters, is called The Diary of Malcolm X: El-Hajj Malik El-Shabazz, 1964. Finally freed from scholarly microfilm, the diary has been the subject of a court case between the authors and the publisher, Third World Press, and Malcolm’s other five daughters, who did not sign off on the book’s publication. Malcolm’s diary paints the picture of a man eager to find his religious and political centers. Most of the first half of the book details his much-talked-about trip to Mecca in Saudi Arabia, while the second half—which takes place after the OAAU founding in New York—is more about his travels to Africa, where he meets more than 10 heads of state and is treated like a de facto ambassador of black America. 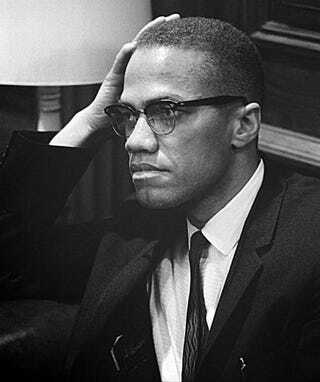 He had multiple goals: to educate the African leaders about the plight of African Americans; to get African leaders to denounce the United States because of Jim Crow and its accompanied violence, with the possibility of bringing the U.S. before the United Nations Commission on Human Rights; and to unite the Muslim and African worlds against Western imperialism, especially what Malcolm called “dollarism,” the funds the U.S. gave out to help, and ultimately silence, much of the Third World during the Cold War. Malcolm was not allowed to address the 1964 OAU meeting in Cairo, but he did write and pass around a memorandum there detailing American racism. The OAU, in turn, did release a public condemnation of the United States for its treatment of African Americans. Bailey, who has written a new memoir of his time with Malcolm X, called Witnessing Brother Malcolm X, the Master Teacher: A Memoir, says of the period, “J. Edgar Hoover turned green when he heard of that [OAU] resolution.” He emphasized that Malcolm, whom he called a master of propaganda, stuck a needle in the eye of the United States with that act, making it harder for America to be seen as a bastion of democracy. “He [Malcolm] was a black nationalist. He said it enough times,” said former OAAU member Earl Grant, now 84. “He was what people today would probably call an African nationalist.” Malcolm, said Grant, was in the tradition of black human rights activists such as back-to-Africa preacher Bishop Henry McNeal Turner, the crusading journalist and suffragist Ida B. Wells, and the proto-Garveyite intellectual Hubert Henry Harrison. The New York City event, during which letters and documents of the OAAU’s tenure were read, had a feeling of radical, analog nostalgia. It was both quaint and important to briefly revisit the days when people wrote and mailed letters and had telephone-exchange names. The period was one of great optimism, when all parts of the movement, radical to moderate, thought they were going to win and reshape America and the world in some fashion. The OAAU and the diary were both part of that ’60s revolutionary optimism. The OAAU was much more than a paper organization but less than a fully functional protest group. The diary, as a collection of literal notes, gives us important insights not only into Malcolm’s thinking but also into his militant, anti-Western, anti-imperialist actions. The more that can be learned about Malcolm’s domestic and international political goals, the less it will be said that all he did was make speeches in Harlem while others in the movement did concrete work. As black America approaches the 50th anniversary of his assassination next Feb. 21, these clarifying details can allow for much-needed new discussions about Malcolm now and beyond. Todd Steven Burroughs, co-editor, with Jared Ball, of A Lie of Reinvention: Correcting Manning Marable’s Malcolm X, is a freelance writer based in Hyattsville, Md. He has taught at Morgan State and Howard universities. He can be reached at toddpanther@gmail.com.